I have already mentioned that my wife has purchased two books for me as a birthday present. They are written in French by Jose Banuado. 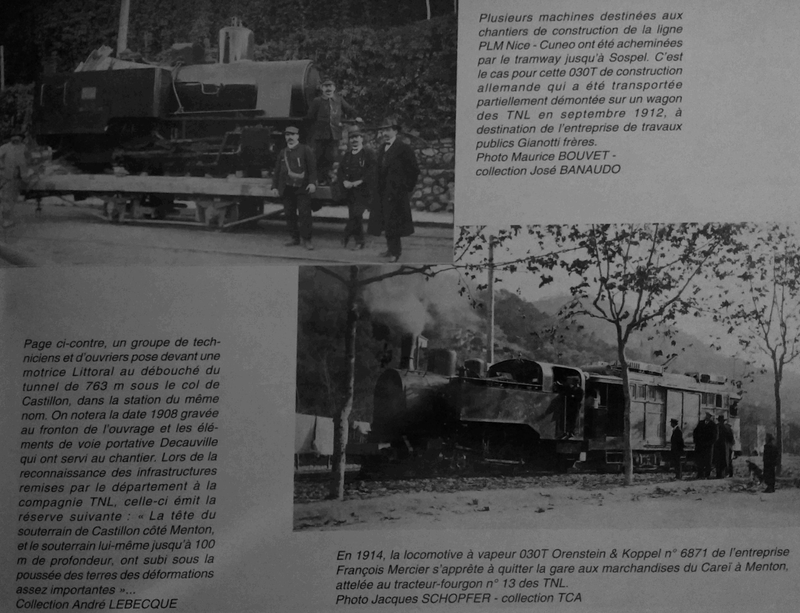 They cover the tramway network of the TNL, the Tramways de Nice et du Littoral. 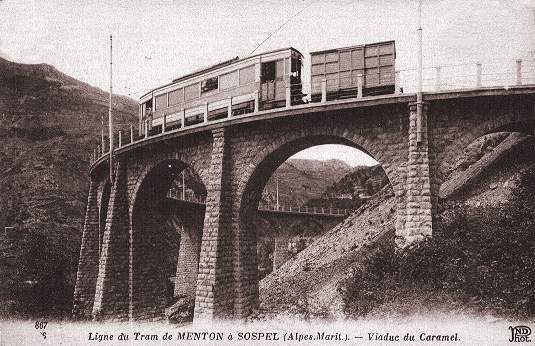 In the first volume there is a section about the tramways which meandered into the hills behind the Coast, one of which was the tramway from Menton to Sospel. 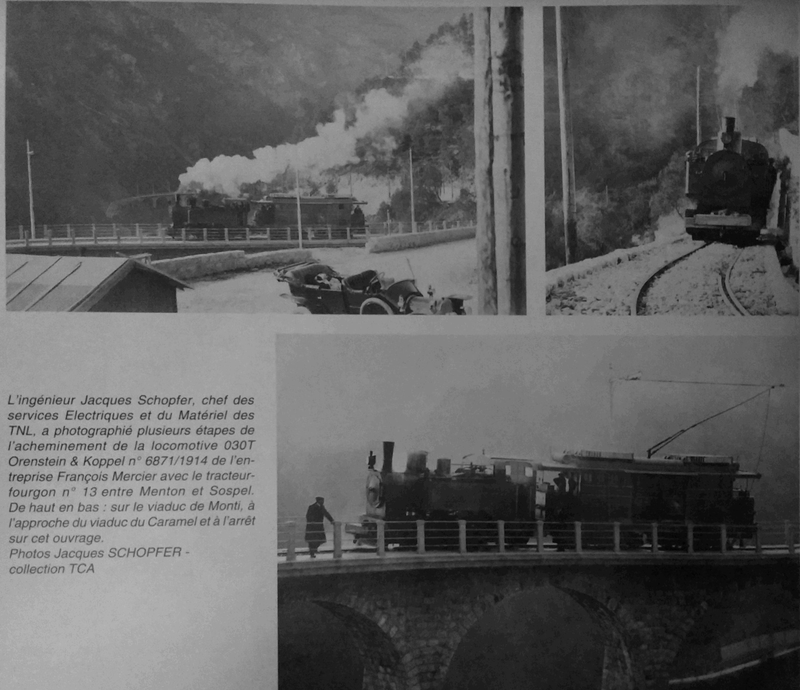 Among a whole series of different pictures, mainly old postcards, were some pictures of the line showing the operation of steam locomotives on the line and others of goods wagons in use between Menton and Sospel, particularly to deliver material to the construction work on the PLM Nice-Cuneo line..
Goods trains were a feature of the line from the start, but there was a serious runaway of a goods service at Monti on 12th September 1912 which destroyed tractor 4 and killed its two crewmen. 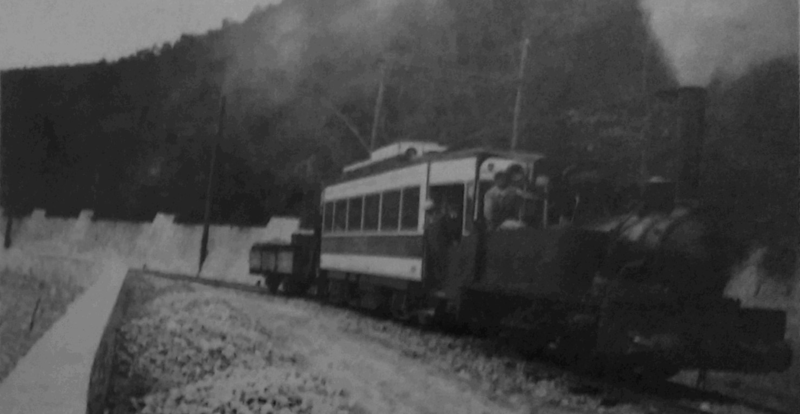 From 16th June 1913 a new service was started with two tractors 6, 7 (and 13 added in 1914) in the form of motorised box cars (known as fourgons in French), which were fitted with the same powerful equipment and brakes as the bogie passenger cars, and which pulled a variety of goods wagons. 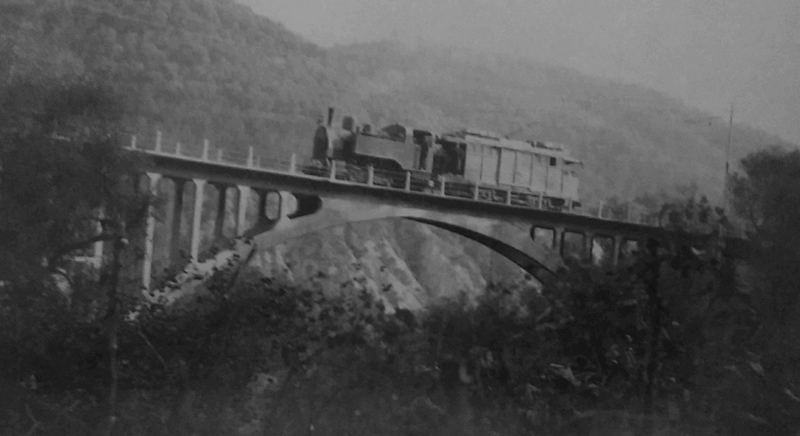 In 1914, four passenger trips and three or four goods trips were made on the line each day, but like the rest of the T.N.L. network traffic fell off in the 1920s. During the building of the P.L.M. 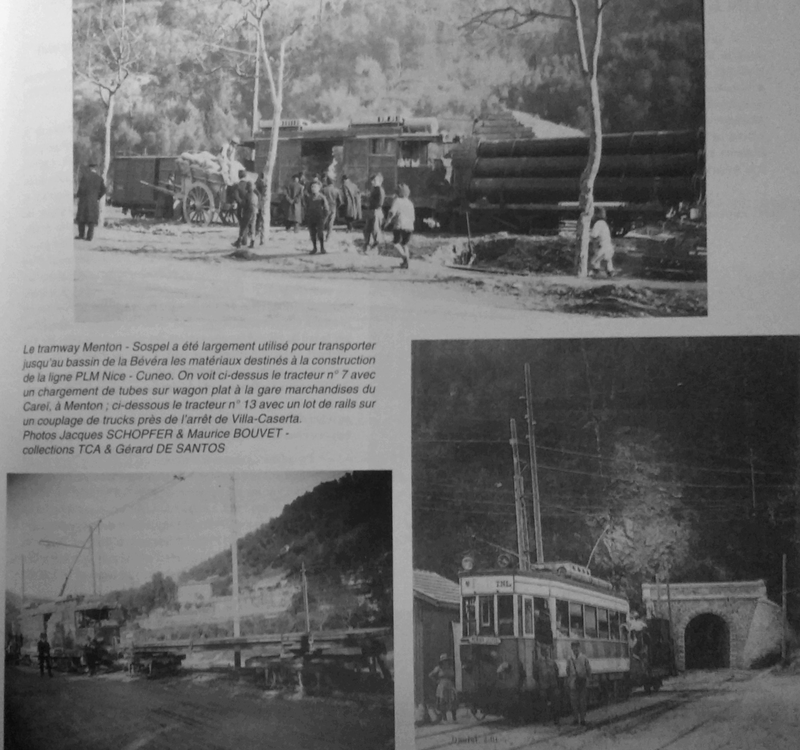 main line railway from Nice to Breil via Sospel, the line had a boost of goods traffic carrying many construction materials, but once complete in 1928 there was huge drop in traffic. Jose Banuado; Nice au fil du tram Vol.1 published by Les Editions du Cabri, 2004, p59-61. http://www.tramwayinfo.com/Tramframe.htm?http://www.tramwayinfo.com/Cards/Postc58.htm, accessed on 8th June 2018. 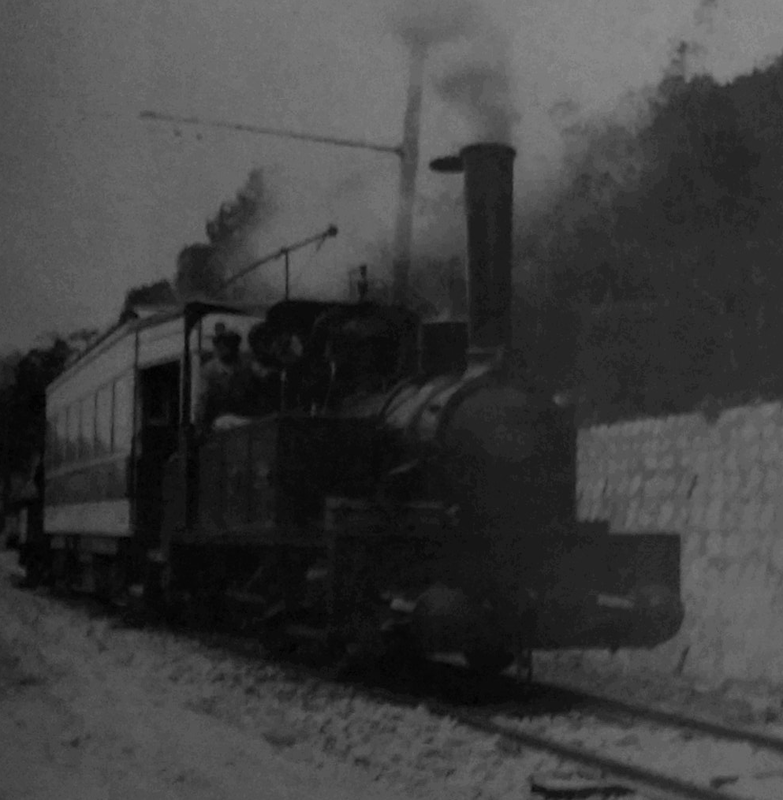 This entry was posted in Railways and Tramways Around Nice, Railways Blog on June 8, 2018 by rogerfarnworth.